Erin Elder is an independent curator, writer, and teacher interested in collaboration, sense of place, and expanded notions of culture. Her research has focused on countercultural education and art practices, with particular interest in those activities happening in the 1960s American Southwest. Her writing has been published by University of Minnesota Press, University of Houston Press, Proximity Magazine, and more. She has produced projects with a variety of institutions including Yerba Buena Center for the Arts, Württembergischer Kunstverein, Creative Time, the Center for Land Use Interpretation, and the Museum of Contemporary Art in Denver. Erin currently lives in Albuquerque and is the Gallery Director at UNM’s Tamarind Institute. Erin holds dual self-designed BAs from Prescott College and an MA in Curatorial Practice from California College of the Arts. She enjoys hiking, hot springs, and building forts. She has recently learned the art of making wine from scratch. Nina Elder is an artist who examines the visual evidence of post-industrial culture, and its distinctive cycles of production, consumption, and waste. Her work is concerned with banality and the proliferation of commonplace objects. She scrutinizes the aesthetic mitigation that often camouflages sites of production, use, and disposal. Her artistic inquiry responds to the friction between humanity, the natural world, and industrial proliferation. Nina’s research is executed through hiking in the Rocky Mountains, exploring factories, mines, and dumps, reading Western novels, and while driving down desolate highways. In 2009 Nina received her MFA in Painting from the San Francisco Art Institute and she holds a BFA in Painting from the University of New Mexico, Albuquerque. She has exhibited across the nation, including California, New Mexico, New York, and South Dakota. Nancy Zastudil is an itinerant curator, writer, and editor who focuses on collective art practices that operate in the service of revolution and social progress. 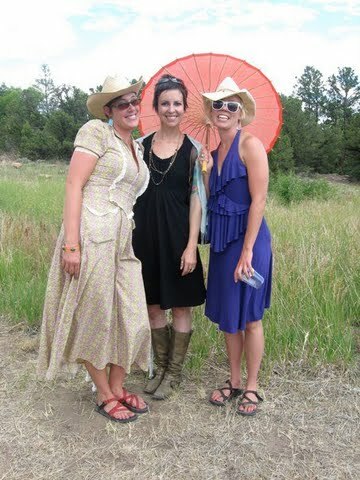 She is The Necessarian; Taos Coordinator for ISEA2012 Albuquerque: Machine Wilderness, organized by 516ARTS; visual arts contributor to Arts + Culture Magazine Houston; and New Mexico Regional Editor for Temporary Art Review. She held the position of Associate Director of the University of Houston Cynthia Woods Mitchell Center for the Arts from Fall 2007 – Spring 2010; co-edited On the Banks of Bayou City: The Center for Land Use Interpretation in Houston (March 2009); and has been published in Arts + Culture Magazine Houston, Artlies, Proximity Magazine, spot, …might be good, and Curating Now. She currently works with the Frederick Hammersley Foundation and Dia’s The Lightning Field. Nancy holds a Bachelor of Fine Arts in Painting and Drawing from The Ohio State University and a Master of Arts in Curatorial Practice from California College of the Arts. She is a former WWOOFer, barefoot-running enthusiast, humanure composter, and lover of eyeshadow.